Over the years, Immigration Law has developed rapidly and has interacted tremendously with International Conventions to such an extent that it has become a major area of legal complexity in the practice of law. Domestic Rules and Regulations, International Conventions and Treaties and Human Rights and Ethical issues have affected Immigration Rules immensely touching human society beyond borders. Europe has emerged to be land of trying to face the conflicts between human rights issues and Immigration Regulations of different countries which are signatory to various conventions which have immense regulatory authorities on the legal aspects in the signatory countries. Europe is growing in European Union size, materialising the dram of a European citizenship. US on the other hand has opened has been compromising with North American Free Trade Agreement which has opened up free border movements between US, Canada and USA. Where does Asia stand? Many of us are still so much lost in the dream of migrating that we often fall victim to serious error in judgments relating to seeking out honest, reliable and effective assistances from experts providing services for migration and multinational trade issues. What is the regulatory body for immigration consultants coming to Bangladesh for advising our citizens even on their laws? Who can and who cannot advise immigration issues in Bangladesh is another largely unexplored issue. Any person who is not an advocate with the Bangladesh Bar Council is not licensed to advise on any legal issues and charge fees for the same. The rule should be applicable for foreign lawyers coning to our country even for a brief period to advise people although for apparently free seminars arranged by certain immigration consultancy firms in Bangladesh as there are always a financial benefit for the foreign lawyers in the long run. The temporary business or pleasure visas to Bangladesh should not be allowing a foreign lawyers to advise clients or people in Bangladesh even on the laws of their country. Appropriate short work visas or investors visas should be sought and they should seek enlistment with the Bangladesh Bar Council as a Foreign Legal Consultant with supervisory and partnership agreements with a Bangladeshi law firm. If Bangladesh Bar Council does not work as the regulatory body for the foreign lawyers, there will be immense possibilities of people being mislead and trapped. Any foreign lawyer must have assistance in partnership with a Bangladeshi law firm so that they do not break any rules of the country while advising the citizens of the country. Bangladesh government will be losing huge revenues otherwise. We have serious lack of true experts in the area of Immigration Law in Bangladesh as our idea of Immigration Law is still apparently confined to filling-up DV forms. But it should be noted that even by applying for DV forms for US lottery programs and by applying for US visas and providing fingerprints for that, a person may compromise with his rights to anonymity and rights to privacy if not done properly which may have long after effects in his/her life. All the leading and developed countries of the world have their Bar Councils and Law Societies setting strict rules for foreign lawyers to render services even on the laws of their native land. Law Societies of England and Wales and also that of New Zealand have set provisions for registered foreign lawyers and US States have provisions for Certified Foreign Legal Consultants which are few to be mentioned here. What we need are expert Bangladeshi lawyers to have wings in their chambers to advise on global immigration laws. There are a number of Bangladeshi lawyers abroad who has experience in working as clerks and consultants or even as partners and practitioners in foreign law firms, and these advocates should be the best options as they are accountable to Bangladesh Bar Council. 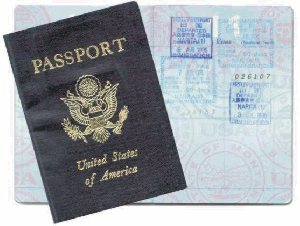 Working for any foreign mission in Bangladesh should not be and cannot be an automatic privilege to claim as an expert in that particular country's immigration issues as the missions or consulates are merely the first stage of immigration relating issues and not the ultimate Immigration and Naturalization office which is based in the consulate's homeland. But if any Bangladeshi lawyer has any experience of working at a foreign consulate office, he can be treated as an expert to a certain degree. Many areas of immigration laws remain an area uninformed, for our citizens. For example, a student going abroad, should have assistance as to the documents which may be required from them for the visa application and the student should also know of her rights and obligations in a foreign country before even flying to that country. Students, visitors and even business people from Bangladesh are often lost and baffled about regulations in a foreign country. Assistance from an expert immigration lawyer from Bangladesh with foreign training and experience would save many from harassments and our image will definitely be enhanced abroad. The investors from abroad are much more cautious about immigration rules relating to business ventures in Bangladesh because of their high respects for law and therefore, when they do not find any reliable experts in that area of practice i.e., experts on Bangladesh Immigration Rules, they often decide not to venture to invest large sums. Professional jealousy often works amongst certain lawyers in Bangladesh who resent to recognise this new area of legal practice branding the field to be mere clerical works for filling up forms and their tendency emanates from their own lacking of experience in the area. In foreign countries, law societies or Bar Councils have strict regulations to have different bank accounts for client's matters. A law firm must have an Client Account and an Office Account and this way the client's money never gets misused by the lawyers and immigration consultants with the executive of expenditure and a lawyer or law firm will touch the free-money only when the work has been delivered and until then they would spend from Office Account which will have money paid and agreed by the client as non-refundable administrative fee. We have SAARC as our South Asian zone for cooperation. We should have expertise charting legal drafts for expected migration of experts between us in expected areas so that all countries benefit from it and none has the opportunity to abuse the opportunity for lack of rules. The visa issuing officers in Bangladesh consulates abroad and lawyers should attend seminars abroad to get the desired expertise and the relevant information can be obtained via internet easily. Universities should recognise Immigration Law as a major area of law as human souls are very much affected by it, especially when we being the people of the poorer nations pick-up the bills to apply for migration and rich foreign countries profit. Enough abuses have occurred in this area of law and it is about time we should heed to the wake-up call. Mufssil M M Islam Ex-Foreign Law Consultant: Neil Weinrib, PC Attorney At Law, USA.